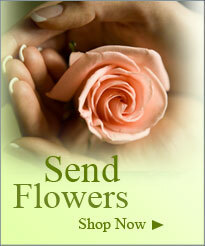 Being with loved ones at their time of need is essential. However, certain circumstances do not always permit everyone to be there in person. We have a simple solution that enables all family members and friends, wherever they may be, to be a part of the funeral service. 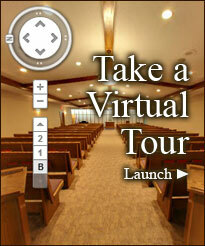 They can witness the entire service in real time over the Internet through LIVE online streaming video. The webcast runs at up to 30 frames per second, as if you were watching TV, with MP3-quality sound. Family and friends may also view the event at a later date from the privacy of their home or office by using the "On Demand" feature on the Foster & McGarvey website. 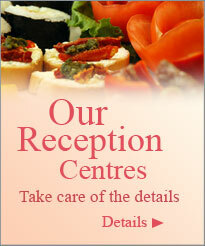 We will ask you for your e-mail address or a loved one's e-mail address to invite you to the service. Once the invitation has been sent, it may be forwarded to whomever you wish, although viewers will need to have a username and password to enter our secure broadcast site. Memorial pages are kept private through usernames and passwords. 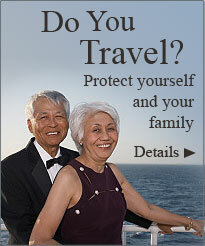 Viewers can upload photos and videos to our site to share with family and friends. Viewers can leave online condolences for the family on the Message Board. 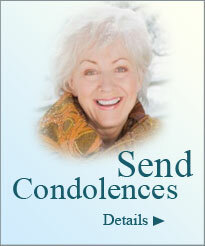 The memorial page may be personalized to meet your needs. The family will receive a recorded copy of the service with a personalized DVD and case. 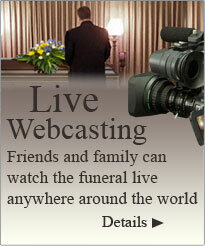 Please consult with one of our Funeral Directors to learn more about webcasting. 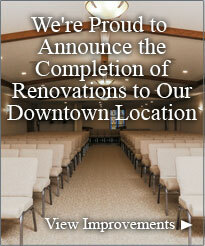 This service is available at all three of our chapel locations and is also provided at churches.